The General Overseer of Redeemed Christian Church of God (RCCG), Pastor Enoch Adeboye has called for an end to the killing in Benue State and other parts of the country by suspected herdsmen. 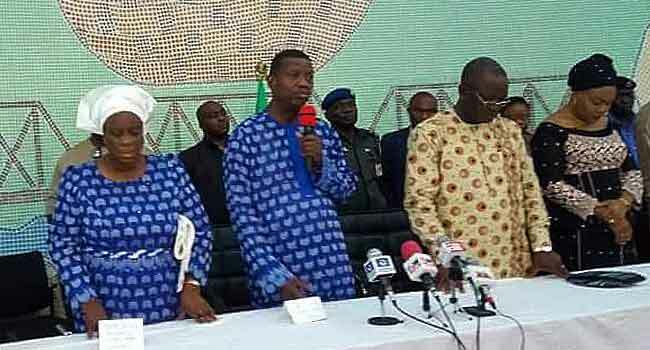 Pastor Adeboye made this call on Friday when he alongside his wife, Folu, paid a visit to the Benue State. The cleric believes only God, however, can stop the killings and give the people victory over the ‘battle’. “We want these killings to stop. Happily, we know someone who can stop it, He is the Almighty God, He does not fail nor compromise, He is the God of all. We will continue to call on Him to fight this battle and you can be assured that victory will be certain,” he said. Pastor Adeboye also prayed for the people, saying Benue State is very dear to him. He explained that he did not visit the state earlier before President Muhammadu Buhari visited, to avoid politicising the incident. He said, “Benue state is very very close to my heart, I had felt every pain you people felt and I wept when I saw you weeping. Governor Samuel Ortom earlier while receiving Adeboye lamented over the incessant killings. He said apart from the deaths of many the attacks have created a huge humanitarian crisis in the state. He appealed to the church to continue praying for the government and people of the state adding that the crisis posed a great challenge to the wellbeing of the people of the state. On Thursday, March 15, Omosu community in Benue State was thrown into sadness as 26 victims of herdsmen attack in the community were laid to rest in a mass burial. This is after 75 victims of suspected herdsmen attack in Guma and Logo Local Government Area of the state were also given mass burial.